Olaplex is a revolutionary product that everyone is talking about! Quickly becoming a favourite essential product of A-list celebrities such as Kim Kardashian, Kylie Jenner, JLo and Cameron Diaz. Olaplex can also be used as a stand alone treatment to prepare compromised hair for further services and to rebuild damaged hair, much like a reset button. Olaplex is suitable for all hair types. It is free from silicone, sulphates, phthalates, DEA, aldehydes and gluten. Olaplex is not animal tested. Who can benefit from Olaplex treatments? 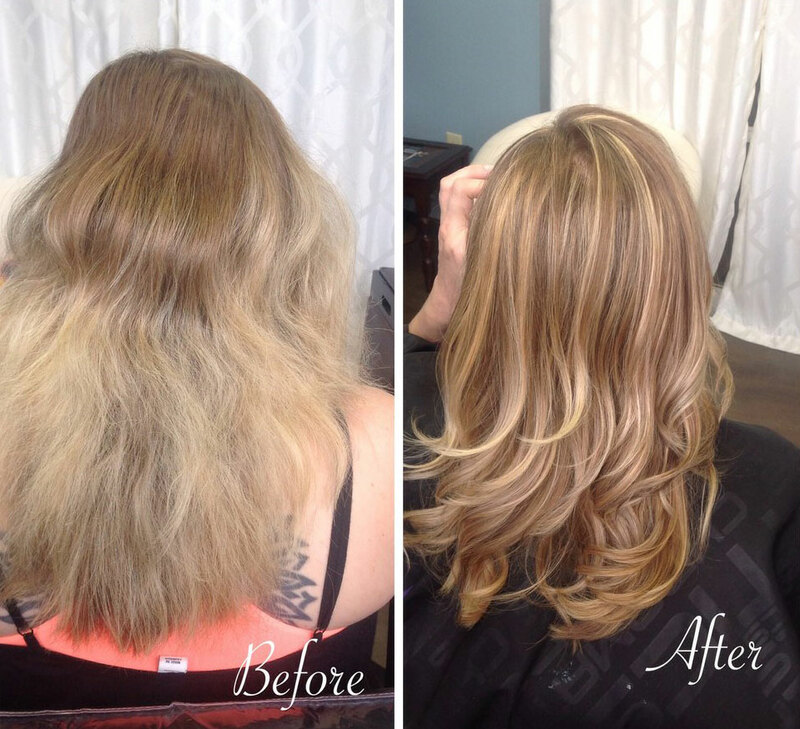 Olaplex is for anyone who wishes to add and maintain strength to their hair. Results are instant, you must see and feel the results to believe. You will experience less breakage, better style manageability and amazing colour intensity and longevity.